The CoffeeShop Blog: CoffeeShop Facebook Timeline Covers 3! CoffeeShop Facebook Timeline Covers 3! I put together a new set of Facebook covers. Click here to see my entire set. I included two versions of each storyboard in this download. The layered psd file has clipping masks and is fully adjustable and can be opened in Photoshop or PSE. The png can be opened in any editing program and has photo cutouts so you can drag and free transform your images to fit. You can also use these as blog/website headers or storyboards. I hope you enjoy them! 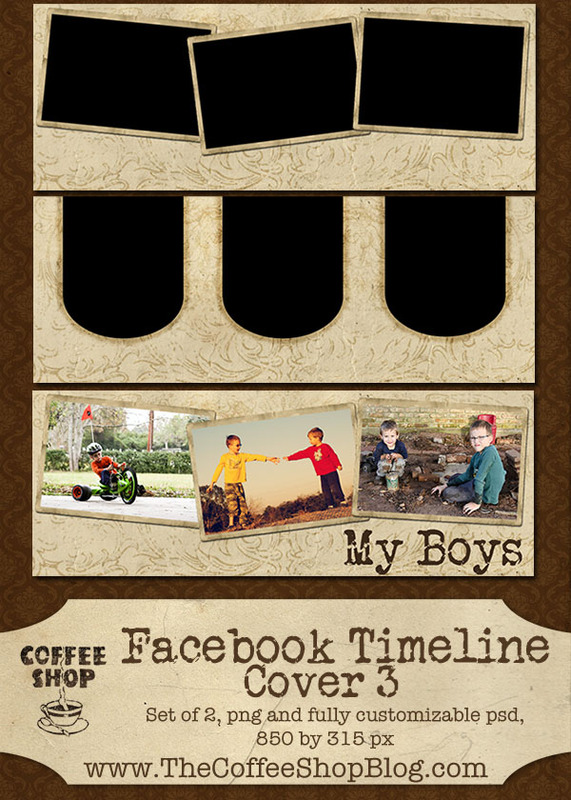 Download the CoffeeShop Facebook Timeline Cover 3 set! You can also download it here. Note: These are image files, not actions! Please open like any other image. Thank you so much for this post. I want to let you know that I posted a link to your blog in CBH Digital Scrapbooking Freebies, under the Page 2 post on Feb. 05, 2012. Thanks again. Thank you so much for this post. I want to let you know that I posted a link to your blog in CBH Digital Scrapbooking Freebies, under the Page 3 post on Feb. 05, 2012. Thanks again.